How to Improve Search Engine Optimization (SEO) In 10 Ways . SEO is arguably the core foundation of online marketing. For years now, emerging enterprises have been looking at SEO as a very good strategy to create their online space faster and easily. Improving SEO is not rocket science; it is a series of simple and straightforward techniques. The following 10 simple techniques can help your website rank better in all the leading search engines. When it comes to search engine optimization content is important. Creating quality, engaging and relevant content for your website, blog and social media pages can be a huge plus in achieving success in SEO. Content should be fresh and unique so that when visitors come to your site, they stay there. The growth of social media platforms over the last few years has been exceptional and today, many online businesses are selling and acquiring new leads through social networking sites such as Facebook and Twitter. Social media is an easily accessible platform that can help you reach a huge number of prospective consumers. As always, make your social media pages interesting, fresh and engaging. Keyword research is one of the fundamental pillars of Search engine optimization ( SEO ). It is important to know which keywords are trending on your specific niche and how you can incorporate them in your content. However, content distribution should not be keyword based. Informative content well optimized with trending keywords should be a perfect mix. Authority links on your website are very crucial in search engine rankings. Linking your site with other sites and blogs can play out well in improving search engine rankings. However, it is important to focus on popular authority links which are easily identified by search engines. Although SEO is a simple technique, sometimes things might not work as good as they should. It is very important to audit your site on a regular basis so that any problems that may inhibit success in SEO are identified and dealt with. The idea of auditing does not necessarily mean that your website has a problem. This is a process designed to determine barriers proactively that may hinder efficient SEO if they exist. SEO just like any other marketing initiative should have a strategy. Defining your targets and how to achieve them is important in keeping you on track towards SEO success. A good SEO strategy should first start by identifying where you are, where you want to go and how you will get there. 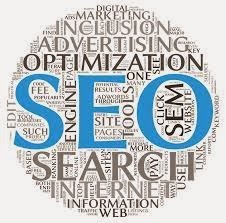 In addition to this, an SEO strategy must highlight the various SEO tools that you intend to use in order to succeed. Use of images is a very good way of conveying information that would normally be very difficult to convey using normal words. However, search engines are not able to identify images during a search. Using captions and descriptions in images however changes all that and in fact, websites with well captioned images stand a better chance to get good SERPs compared to sites which are otherwise. It is also important to note that image captioning and description should be well optimized using the trending keywords in your niche. Meta descriptions are normally used in HTML and XHTML to identify and provide structured information about each and every page on your website. By including Meta descriptions and keywords, search engines can easily know what your website is all about. This is a very important aspect in the general efforts of improving SEO. As a rule of the thumb, always ensure that the main keyword is included in the Meta Title for every page but make sure the title is shot and catchy. press release writing and distribution is a very popular and effective way to build your online brand to a whole new level. Press releases are very good in getting the word out and in case you want faster improvement in SEO rankings, this should be necessary do for you. However, it is imperative to develop newsworthy press releases that give the end reader more reason to come and visit your website. Remember to also work with reliable distribution sites. Try email marketing – although a lot of small businesses may look at email marketing as a farfetched idea, to be honest it’s not. Email marketing is a good way of creating loyal consumers for the services or products you are selling. You can start by developing a mailing list using a signup box on your homepage or social media platforms. Later you can then start sending relevant product information to keep your customers informed. Improving SEO is a matter of getting the small things right. With these ten tips, it is easy to get better rankings in all the major search engines. Evelyn Golston is the author of this article is an SEO expert, Blogger and essay writing professional at Essay Jedi.